390 in stock Need More ? Hari is a dreamer with an unusual talent. He spends the few coins he earns washing cars on cinema trips to watch (and learn from) his beloved Bollywood films. Then one day Hari's gloriously fancy footwork is spotted by Mr Ram, a man on a mission to resolve conflicts near and far. 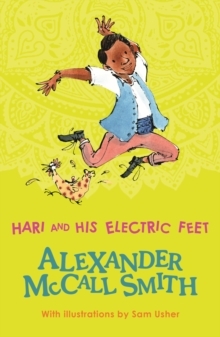 Hari so entrances everyone with his magical dancing that soon he is travelling all over the world and his electric feet bring harmony to all who see him dance.